Wormtown Snow Removal provides residential and commercial snow plowing, snow blowing, shoveling, salting and sanding for large parking lots, sidewalks, walkways, stairs and home driveways in Worcester County, Massachusetts. Offering the cheapest, most affordable snow removal service with the highest level of attention to detail is our mission and has been for over 10 years. We offer the lowest cost snow removal services in Worcester, Massachusetts and throughout our service area....... All without ever sacrificing quality of work for our valued customers and, of course, our workmanship is absolutely GUARANTEED! Wormtown Snow Removal is Central Massachusetts' #1 Source for snow removal and plowing in Worcester, Massachusetts (MA): Leominster, Fitchburg, Marlboro MA, Framingham, Auburn, Millbury, Grafton, Shrewsbury, Boylston, Holden, Paxton, Princeton, Rutland, Sterling MA, Leicester, Spencer, Oakham, Sudbury, Weston, Northboro, Westboro, Southboro, Hudson, The Brookfields, Barre, Hubbardston, Upton, Northbridge, Bolton MA, Southbridge, Sturbridge MA, Clinton, Lancaster, Milford MA, Hopkinton, Sutton, Hopedale, Uxbridge MA, Douglas, Webster, Dudley, Berlin, Westminster, Ashand MA, Harvard and many other cities and towns in Massachusetts. 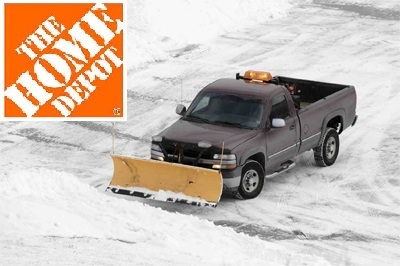 We strive to be the best, most reliable snow plowing and snow removal company in the state. Always abide by local government snow removal policy. We hire only the most highly experienced, reliable snow plow drivers to work on our customers' homes and businesses. That's why we're widely trusted! Wormtown Snow Removal in Worcester, Massachusetts is one of the best snow plowing and snow removal companies serving all of Worcester County, Massachusetts.